Digital strategies shouldn't have longevity, but rather change with the evolving landscape, says UK-based futurist and author Ben Hammersley. IHRSA spoke to Hammersley to learn more about digital strategy, emerging technology, and consumer behavior. Here’s what he said. Where do you think most brands struggle when it comes to creating a digital strategy with longevity? Because digital strategies shouldn’t have longevity. The process by which you come to one needs solidity, but the strategy itself needs to be fluid enough to deal with the changing landscape. After all, a three-year plan, for example, is going to miss an awful lot that is new and good, and stick with a great deal that doesn’t work. Having said that, I have to emphasize the need to work with technology and, especially, an understanding of the customer’s use of technology, in a way that builds on proven customer behaviors, rather than just fashionable tech. So, for example, going all in on VR, or QR codes, or Snapchat content, say, would be pretty cool, but absolutely pointless for most brands. Being really good at digital customer service—which means less about digital and more about customer service’s place in your corporate structure—is infinitely more effective, if less likely to mean a snazzy press release. What strategies can brands use to become more agile when adapting to new user behavior and technologies? Can you give some examples? You need to understand your customer. I know: yawn. But really, it’s about understanding how they, for example, use their phones. If your demographic is all about the chat apps, then that will lead to thinking about offering bookings and customer service over IM bots. If they’re of an age or place or time where booking apps and push notifications are the most useful, that leads you to a new place. In the end, it’s all about serving your particular customer rather than embracing technologies for the sake of it. One good example is something I found today, personally. I organize my life with my phone. I also go to two gyms nearby. One’s a very famous sweat and concrete weightlifting place, and the other is an equally famous chain for spin classes. I book the spin classes through a phone app, which syncs with my calendar, and I book my personal trainer through texting him and hoping for the best. I’m finding I go to the spin classes much more because the process of booking it, from the interface to the certainty of the class time, is a whole lot more attuned to the rest of my life. Also, the grapefruit candles smell really nice. But that’s another thing. 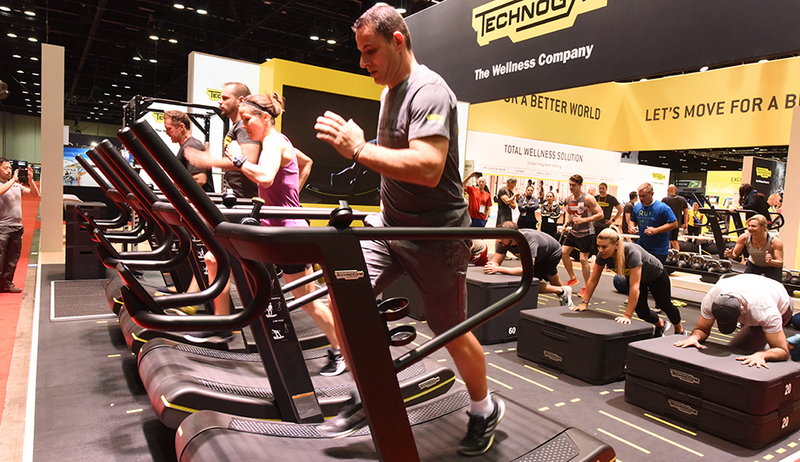 How do you think health clubs can benefit from creating an adaptive digital strategy? They’ll make more money. Also, it’s 2018 soon. I mean, c’mon. What advice would you give to a health club owner looking to create a digital strategy? Where should they start? Two things. Firstly, look at their own use of technology. How do they themselves use it? Do they buy a lot online? Book tickets? Communicate with which apps? And so on, and then look at how their staff and clients use it too. Then walk through all of the customer journeys in their business, from enrollment to booking to checking the opening hours, and see how they would do that using their existing digital habits. If the two don’t match, there’s your first opportunity to fix things. The best bad examples of this are restaurant websites. You go to restaurant websites, especially on a mobile device to find three things: the address, the opening hours, and whether you need to wear a tie. Maybe a rough guide to the price. But if you look, very few restaurant websites have all, if any, of that on the front page. Restaurant websites are enragingly terrible. Don’t be those people.